Elders Real Estate – Gympie is conveniently located in the heart of Gympie to assist those buying or selling throughout the Gympie Region. Whatever your Real Estate needs, whether you are buying, selling, investing, renting or simply wishing to know more about the area, its people and available properties for sale, highly trained professionals are on hand to help with quality advice and assistance. 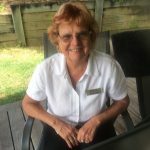 Whether you are relocating within Gympie or from any other area or state, our extensive experience and knowledge of the area can get you moving. To find out more why not discover us today!